DON'T BE SCARED. IT'S TIME TO BUILD YOUR OWN. Here are the instructions to build your own ICARUS ONE. To purchase a complete / pre built ICARUS ONE system email icarusideas@gmail.com with "purchase" in the subject. 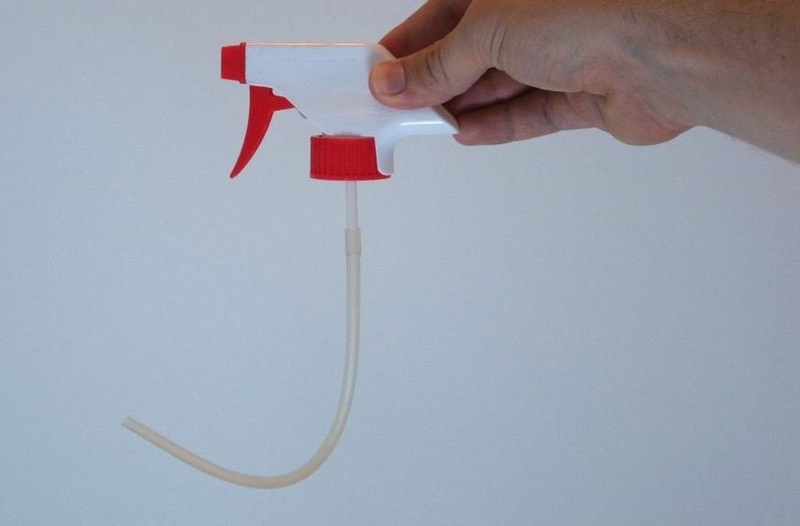 3D Print the dowloaded Spray Lever file from the "MATERIALS" list. You can also pay to have someone print it (here). The angle of the servo wheel will need to be adjusted during testing to insure proper spray can tip depression. NOTE: ALL SOLDERING OCCURS ON UNDERSIDE OF PCB!!! Step 4a - Download ICARUS ONE Software (Arduino code) here. Step 4c - Attach 9V Battery and Test Your Icarus One Control Unit!! Use a small food container to house / protect your hardware. Find one that fits the PCB nicely.